Pain can be described as an unpleasant sensation in the body caused by an injury or malfunctioning of a particular system within the body. Pain can be classified upon various grounds such as the body part involved, the system that is afflicted and is causing pain, the time period for which the pain persists. Clifford.J.Woolf, professor of neurology and neurobiology at Harvard Medical School, has recommended a different classification of pain for the purpose of research and treatment. The mechanisms involved in the sensation of pain are complex and include nerve receptors as well as the central nervous system. It can be caused by damage to the central nervous system as in neuropathic pain and sometimes it may involve the proteins and cells which promote inflammation. Pain perception threshold is described as the point where one can feel pain and pain tolerance threshold is when cannot bear the pain anymore and tries to stop it. Pain is the body’s defense mechanism and it is treated with painkillers. 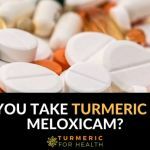 It is well documented that painkillers on a long term can cause adverse effects, which brings our attention upon nature’s most revered herb and natural analgesic: Turmeric. 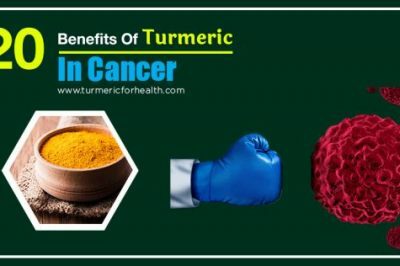 Curcuminoids are responsible for the bright yellow color and most of the turmeric’s medicinal properties are attributed to this component. 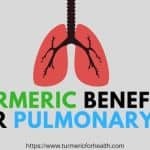 Curcumin makes up 90% of curcuminoids and is the most promising factor of turmeric as an alternative cure to many conditions. Volatile oil is responsible for the aroma and is also known to exhibit a few bioactive properties. 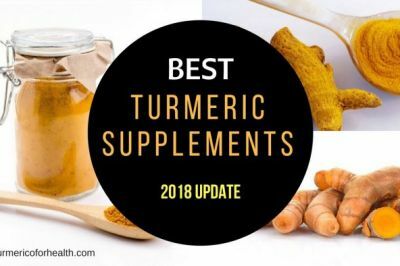 Turmeric is proven to be a natural painkiller and herein we will try to understand the various mechanisms by which turmeric wards off pain based on the research studies conducted. For the purpose of simpler comprehension, we will study different types of pain and turmeric’s action against it. Nociception is the process of recognizing, interpreting and reacting to painful sensations. No nerve cell in our body is specifically designed to detect pain. Nociceptors are nerve endings found all over our body and are similar to other sensory receptors. They detect the same sensations as other nerve endings but they require a more intense sensation. Various modes and receptors have been held responsible for turmeric’s anti-nociceptive effect. One of the factors involved is the endogenous opiod system. Opiod refers to opiates obtained from the resin of opium poppy and synthetic substances. They are the oldest known painkillers. Endogenous opiod system is a natural pain relieving system found in the body. It comprises of opiod receptors and opioid peptides. These interact together to transmit signals and modulate nervous system responses. This system is known to transmit nociceptive information in the presence of endogenous opiods and externally administered opiods. Results from research studies suggest curcumin’s interaction with the opiod system as a part of the anti-nociceptive effect. Interactions of curcumin with receptors involved in non-opiod systems of pain transmission have also been documented; thus suggesting their role in turmeric’s anti-nociceptive effect. Modulation of other neurotransmitters and pro-inflammatory mediators assists turmeric in antinociception. Curcumin’s effect on formalin-induced pain in rats was investigated so as to understand its analgesic and anti-nociceptive effect. Formalin injection in the hind paw of the rats produced an acute inflammatory phase. Curcumin suppressed the pain at a dose of 100 and 200 mg/kg. To understand how curcumin acts to alleviate pain two other compounds were included in the study: morphine and naloxone. Morphine also brought about the same effect while naloxone alone did not suppress the pain. It was observed that curcumin did not affect morphine-induced anti-nociception but reversed the effect of naloxone. Morphine is an opiod and it works as an analgesic by interacting with the opiod system. Curcumin along with morphine significantly reduced pain, thus suggesting that it acts as an analgesic by interacting with an endogeneous opiod system. Naloxone can be considered as an anti-opiod drug and is used to treat conditions of narcotic overdose. Naloxone is known to increase pain sensitivity in congenital disorders. Post treatment of curcumin after noxalone administration reduced the pain. 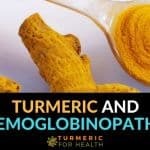 This demonstrated that curcumin reversed the effect of noxalone by interacting with a non-opiod system of pain relief. The anti-nociceptive effect of curcumin on postoperative pain was studied on a rat model. A surgical incision was made on the right hand paw to induce pain caused by a mechanical factor. The pain lasted for 5 days. Acute curcumin treatment was administered and found to reduce the pain in a dose –dependent manner. Repeated curcumin treatment even accelerated the post-operative recovery. The mechanism by which curcumin alleviates post-operative pain is not clearly understood. However, this study attributes curcumin’s interaction with spinal receptors to bring about the anti-nociceptive effect. In a research conducted to study the preventive effects of drug and starvation induced damage to gastric tissue in rats, the analgesic and anti-nociceptive effect of curcumin was evaluated. The hot plate test was used to study the pain response in the animals. In this test, the animal is exposed to a thermal stimulus by a heated plate and the response is seen in the form of paw licking and jumping. These activities are natural reflexes of animals to avoid pain due to high temperatures. Curcumin 100mg/ kg was injected 1 hour prior to the hot plate test and it was seen that curcumin increased the time period for the first defensive reflex to appear and also a reduction in paw licking was seen in comparison to control group. Prostaglandins are hormones that are produced in response to pain by pro-inflammatory mediators. They increase pain perception. Curcumin is known to inhibit proteins involved in inflammation thereby suppressing prostaglandin synthesis and thus producing an analgesic effect. Based on research studies, turmeric is known to act as an analgesic and help in Nociception pain. Pain and swelling are the main features of inflammation. Inflammation is body’s defense to injury but if it goes unchecked it can have deleterious effects. Inflammatory pathways work by the involvement of various enzymes and proteins each of which trigger another component’s activity. Prostaglandins are hormones released in response to injury which can induce inflammation. Thromboxanes are hormone activators and they regulate activities like platelet aggregation and clot formation. Arachidonic acid is a major product of inflammatory biochemical pathway that is released in injured tissue. It is converted into prostaglandins and thromboxanes by means of cyclooxgenase enzyme (COX). Nuclear factor-kappaB is a protein that initiates the production of DNA responsible for mediating inflammatory response. This protein detects the presence of infectious agents or injuries and causes inflammation as a response. It is usually present in association with inhibitory proteins but as a result of tissue injury, the protein is set free to initiate inflammation and production of pro-inflammatory mediators like TNF- α, IL-1, IL-6, etc. These complex inflammatory pathways first bring about pain and tissue destruction followed by repair, healing and regeneration. Turmeric displays its anti-inflammatory activity by inhibiting the activity of various components of the inflammatory pathway. It inhibits the production of prostaglandins from arachidonic acid. It is also known to inhibit COX, prostaglandins, thromboxanes, TNF- α, IL-1, etc. It is also proven to inhibit the activity of nuclear factor-kappaB by preventing its disassociation from the inhibitory proteins. Suppresion of this protein downregulates COX-2, thus inhibiting the inflammatory process. It is also prevents arachidonic acid metabolism through a different pathway –LOX pathway. Another way by which turmeric inhibits cytokine production is by downregulating intracellular signaling proteins. Turmeric’s anti-inflammatory property is mainly associated with curcumin. However recent studies have curcumin free turmeric also exhibits anti-inflammatory property. 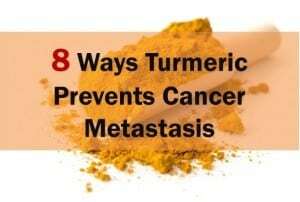 Individual components of turmeric such as tumerone, elemene, tumerin etc have been used and studied for anticancer and anti-inflammatory purposes. Painkillers or Non Steroidal Anti Inflammatory drugs (NSAIDS) are the commonly prescribed drugs for inflammatory pain. NSAIDs are known to block COX pathways to produce a pain relieving effect. Though these drugs help in dealing with pain, they are known to cause adverse effects. They cause damage to the gastric tissue, delay muscle regeneration, obliterate the healing phase of inflammation, affect kidney function and also pose a risk of clotting. Curcumin has been suggested as an alternative to NSAIDS as it brings about the same effect as painkillers minus the side effects. It is also recommenede to take curcumin in conjunction with low doses of NSAIDS. This property of curcumin has been used in the treatment of arthritis, colitis, cancer etc. The anti-inflammatory property of curcumin was evaluated against induced arthritis in rats. The effect of curcumin was compared to that of ginger and an NSAID. Both plants individually were reported to significantly attenuate the pain and inflammation associated with the condition. However, the percentage of disease recovery was higher in turmeric in comparison to ginger and the painkiller. This effect of curcumin was reported to be brought about by modulation of pro-inflammatory mediators. In a study the analgesic effect of a complex made from natural extracts was investigated in the treatment of degenerative joint pain. One of the natural extracts was turmeric. Two 650mg of this complex was given thrice a day to patients with acute pain for 15 days and twice a day to patients with chronic pain for 60 days. A significant reduction in pain scores was seen at the end of the treatment and the study suggested that the complex of the 3 plant extracts could be a safer alternative to NSAIDS. The anti-inflammatory and analgesic effect of turmeric oil was compared with aspirin in the treatment of swelling in the paw of the animal. The inhibition of anti-inflammatory activity by turmeric oil was 76% at 100mg/kg while that of aspirin was 62% at the same dose. The analgesic activity was measured by tail flick method. The tail flick test is similar to a hot plate test and is used to measure pain response. The time from onset of stimulation to rapid flicking of the tail as a response to pain is recorded. The optimum activity for turmeric oil was found to be 60 minutes. Neuropathic pain is pain caused due to damage to the nervous system. It can cause abnormal sensations or even pain from instances which are not generally considered painful (allodynia). It is characterized by numbness, itching and ‘pins and needles’ sensations. Mechanisms involved in pain transmission of this sort can be related to the level of nerve endings or to that of the entire nervous system or even changes at a cellular level. Since various mechanisms and disease dependant factors are involved in neuropathic pain, we will understand turmeric’s role in treating this pain with respect to each study to be discussed regarding this topic. Curcumin’s ability to relieve neuropathic pain was studied in a rat model. After inducing neuropathic pain in rats, curcumin doses of 20, 40, 60 mg/kg were administered for 7 days. 20 mg/kg showed no significant analgesic effect but 40 and 60mg/kg significantly reduced pain caused by thermal factors and mechanical allodynia. Curcumin acts as an inhibitor of p300/CREB-binding protein of histone acetyltransferase (HAT) activity. HAT activity involves the functioning of enzymes essential for the increase of gene expression. p300 and CREB binding protein are different proteins but operate in coordination in HAT activity and their malfunctioning can cause neural disorders. The expression of these proteins is increased in neuropathic pain and inhibition of p300 is known to alleviate such pain. 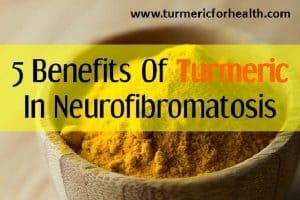 It was observed that based on the dosage curcumin brought about a decrease in recruitment of these proteins in HAT activity and in turn reduced the production of pro-nociceptive molecules. Diabetic neuropathies are nerve disorders caused by diabetes mellitus. It is a very common complication of diabetes. It generally occurs due to damage caused to small blood vessels that supply blood to nerves. A study involved treatment of drug-induced diabetic rats with curcumin – 50mg/kg. The dose was administered in an acute and chronic fashion. Thermal pain and mechanical allodynia was measured on various days of the treatment for comparing scores. Chronic treatment with curcumin was found to weaken mechanical allodynia. Results of this study confirmed that curcumin can be considered as a potential candidate to treat diabetic neuropathic pain. Pretreatment with naloxone was found to significantly reverse the analgesic effect brought by curcumin in the diabetic rats. As mentioned previously naloxone is a pure opiod antagonist: it interacts with the endogenous opiod system to reverse the natural pain relieving effect brought about by opiods. This fact indicates that with reference to this study, the analgesic effect demonstrated by curcumin involved the opiod system which was lost on naloxone administration. Hyperalgesia is the phenomenon of increased sensitivity to an area where tissue is damaged by a stimulus. The release of various substances at the area of tissue damage causes sensitization of the nociceptors and results into pain. Curcumin produces an anti-hyperalgesic effect by antagonizing the TRPV1 receptor (a mediator of hyperalgesia). Its anti-inflammatory and antioxidant activity is also helpful in attenuating thermal hyperalgesia (caused due to thermal or mechanical stimuli). The prolonged use of opioid drugs to treat chronic pain can also induce hyperalgesia. Curcumin can ameliorate the opioid induced-hyperalgesia by deactivating the CaMKIIα signalling (involved in nociception). 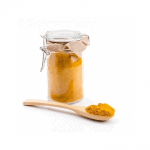 It means curcumin can improve the heightened sensitivity in response to noxious stimuli. Thus, it can significantly reduce the nociception and in turn pain. Curcumin has been studied for its anti-nociceptive and analgesic effects on a number of other types of pain which we may commonly encounter. In these conditions too, its efficacy has been proven. Burn injuries are often associated with severe pain. The stimulus, i.e. heat causes hyperalgesia and sensitizes the nociceptors, resulting in the severe pain. Curcumin, through its anti-inflammatory mechanism, not only helps in wound healing but also treats the pain. 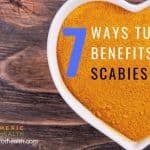 It has been found to be highly efficacious in reducing burn pain. One of the major problems faced after surgery is severe pain. Most of the surgeries, whether major or minor often result in the occurrence of severe pain. 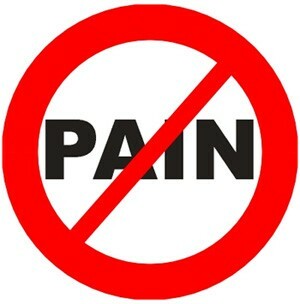 Therefore, the management of postoperative pain is very important. Curcumin has a potential to alleviate the postoperative pain and thus be useful in the better management of these pain. It reduces the incision induced inflammation, nociceptive sensitization and brings about the reduction in the postoperative pain. It means curcumin is helpful in alleviating pains like those caused by burn injuries or surgery as well. Its anti-nociceptive activity is useful in coping up with the severity of these kinds of pain. Curcumin supplements are suggested as natural analgesics but should be consumed as per prescribed dose by a health practitioner. 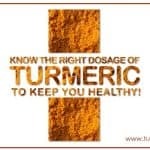 Turmeric supplements are prepared in a manner to increase their bioavailability in the body. It could have interactions with other medications. To avoid such effects and effects due to a higher dose than that suggested for a particular condition it is always advisable to consult a doctor. Curcuminoids are active ingredients found in turmeric. The ways by which curcuminoids stimulate the brain and alter the effect of opioids like morphine was observed. Curcumin, as well as curcuminoids mixture, did not stimulate the brain at any dose. Higher doses of curcumin increased the threshold value required to stimulate the brain. With reference to morphine, this means that curcumin reduced the tolerance as well as dependence on morphine. Just like any other medicine, long term usage of a particular drug can make you tolerant to it- in other words, the drug does not bring about the therapeutic effect it did initially. Another problem with morphine is that since it affects your brain in order to reduce pain, you tend to get addicted to it. Morphine stimulates a rewarding feeling in the brain and its usage reinforces this feeling. Curcumin is a neuroprotective agent as well as a natural painkiller. Research shows that curcumin manipulates certain genes involved in the brain’s activity in order to reduce morphine tolerance. Curcumin like morphine manipulates the natural opioid system in the body and the brain chemicals in order to bring about a reduction in pain sensation. However, it does not stimulate the brain and is not addictive in nature. Also, it can attenuate morphine tolerance and morphine withdrawal symptoms. Morphine causes oxidative stress (imbalance between prooxidant and antioxidant agents) in the brain and thereby causing tissue damage. Curcumin, on the other hand, does the opposite it lowers lipid peroxidation level and increases the expression of superoxide dismutase & glutathione oxidase. Thus, the anti-oxidant property of curcumin comes to rescue. The study shows that curcuminoids can attenuate pain in the same manner as morphine but without causing any addictive behavior. 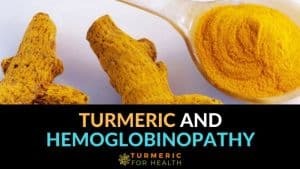 The inclusion of turmeric in daily routine can help reduce morphine tolerance and dependence on morphine in those who have been using it for the long term as a pain killer. Pain is a major symptom of most ailments and though it is integral to the body’s defense mechanism, it does demand for a cure. It is the most common reason for consulting a doctor even in advanced countries. Commercially available painkillers are reported to have adverse effects on long term use. 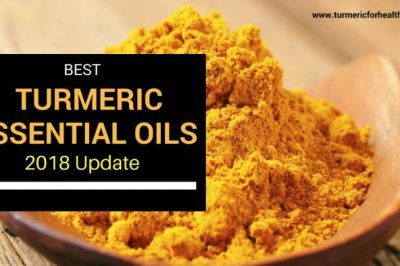 Various plants are being investigated as alternatives, one of them being turmeric. 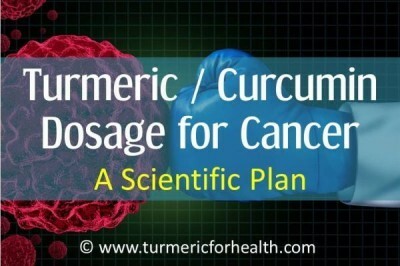 Research studies affirmatively confirm that turmeric can replace commonly used analgesics. 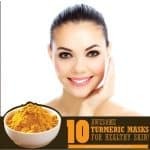 Opting for this solution will not only provide us relief from pain but would also let us make the most of turmeric’s innumerous medicinal and health benefits. Yes.. By accident I put turmeric inside my mouth on an ulcer… it was mixed with bicarbonate also an error.. cos I wanted to make a face mask…. I was feeling so down.. and couldnt be bothered to find ONly the tumeric… the next morning… this blasted painful thing had dimished so much that the next day it was Gone! I could go back to eating my chillies…. 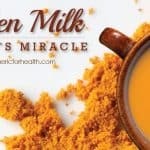 ( not really ) But Bottom line.. Turmeric is a Miracle !!! Bravo KeshavK !! BTW.. is it any good for Colitis / stomach problems? 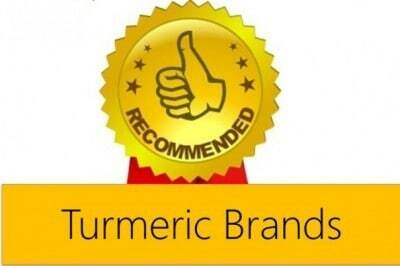 Glad to hear how turmeric benefited you. 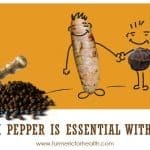 Yes turmeric is good for stomach problems too. My husband has fungal folliculitis which took medical and dermotologists over a year to diagnose. His life, and mine has been extremely difficult dealing with this. 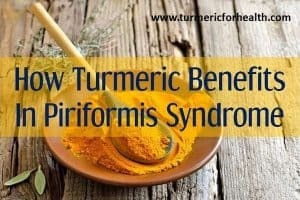 I have read about people taking tumeric for this condition. What dose should he take daily and in what form. 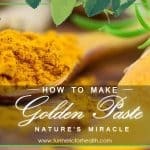 What about the tumeric paste recipe i saw on this site. Would that be a good way to take it. Also would the same dose be cover him for his cancer. He has a kidney filteringproblem so is it ok to take tumeric. Thankyou for any help. Themwife. I am a living testimony to the wonders of turmeric. My mother told me that her parents used it when she was a child. I tried it for nasal polyps because I did not want to use the steroids my doctor prescribed. After only a month every polyp in my nose was gone (they were in both nostrils) with the exception of an isolated polyp farther up in the nose. I am continuing my regimen of drinking turmeric mixed with warm milk each night or using it in hot water to steam my nostrils. I feel that it is beneficial to so many areas of the body that I intend to use it indefinitely. HI Marisa, thanks for writing and sharing. 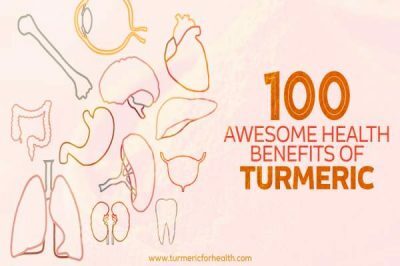 Turmeric is indeed a miracle herb!